The annual flooding cycle of the Nile goes back to ancient times. It is celebrated by Egyptians beginning August 15 lasting two weeks, known as Wafaa El-Nil. Were it not for the Nile River, Egyptian civilization could not have developed, as it is the only significant source of water in this desert region. The Nile flows from south to north, to its delta on the Mediterranean Sea. The ancient Egyptians did not realize that the flood was due to rains on the mountains to the south. It was seen as the annual coming of the god Hapi. The rains would swell the different tributaries and other rivers that joined to become the Nile River, generally regarded as the longest river in the world. In Egyptian mythology the Nile flooded every year because of Isis' tears of sorrow for her dead husband Osiris. 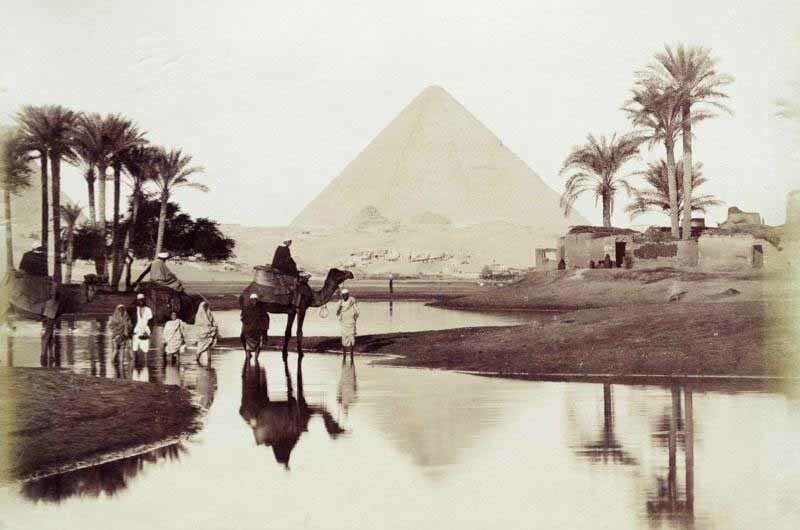 The Nile was considered a gateway to an unknown world that opened at this time. The planet today is experiencing rising sea levels and unprecedented amounts of flooding which take us to Flood Stories and Creation. Water is a metaphor for the collective unconsciousness or grid matrix of our reality. The Egyptian capital Cairo is poised for renewed protests by supporters of ousted President Mohammed Morsi. They are expected to take place two days after authorities broke up Muslim Brotherhood protest camps in Cairo with the loss of at least 638 lives. Mr Morsi's supporters plan to converge on central Ramses Square from city mosques after Friday prayers. A state of emergency is in force and police have been authorized to use live ammunition in self-defense. BBC journalists in Ramses Square describe the atmosphere as very tense and have been advised by the crowd to leave as the area is too dangerous to stay. Egypt is in chaos as people fight for freedom. I have been unable to reach my friend Sherif but sense he is safe. Egypt ... Pyramids ... all of this takes me back to the award winning Roland Emmerich 1994 film Stargate. 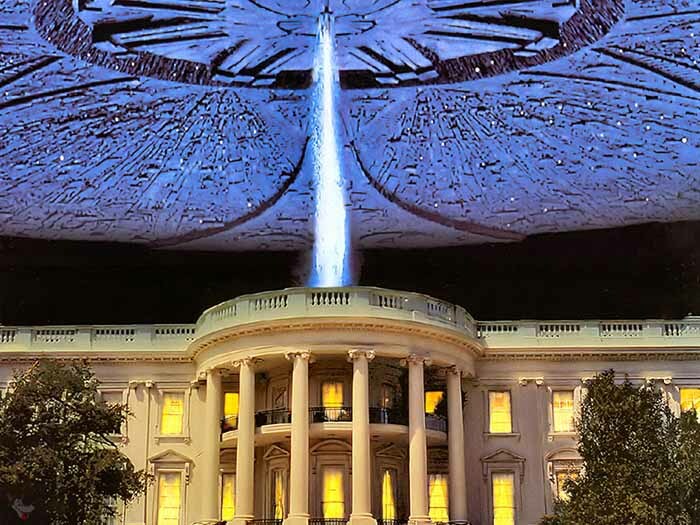 Two years later, Emmerich directed Independence Day starring Wil Smith and Jeff Goldblum. From ancient pantheons to modern day ... it's always about power control, aliens, and government cover-ups. Powerful Governments Control More Powerful Truths. 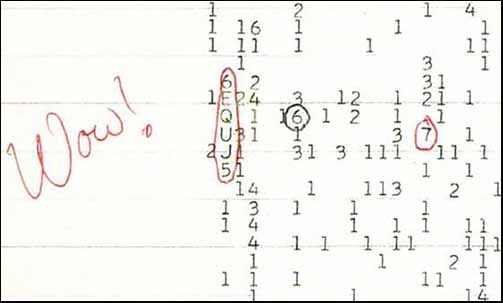 "Wow Signal" was a strong, narrowband radio signal detected by Dr. Jerry R. Ehman on August 15, 1977 while working on a SETI project at the Big Ear radio telescope of the Ohio State University. 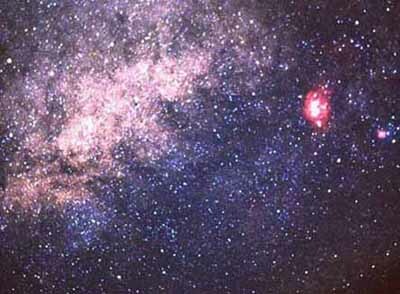 The signal bore expected hallmarks of potential non-terrestrial and non-solar system origin. It lasted for 72 seconds, the full duration Big Ear observed it, and has not been detected again, or not reported to the public. It has been the focus of attention in the mainstream media when talking about SETI results. Amazed at how closely the signal matched the expected signature of an interstellar signal in the antenna used, Ehman circled the signal on the computer printout and wrote the comment "Wow!" on its side. This comment became the name of the signal. On the 35th anniversary of the Wow! signal, Arecibo Observatory beamed a response from humanity, containing 10,000 Twitter messages, in the direction from which the signal originated. 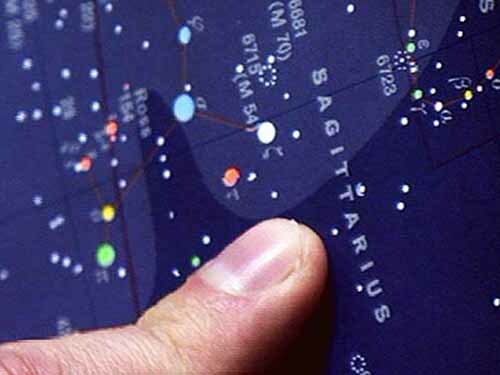 The Wow Signal came from the direction of Sagittarius. The government has now officially acknowledged the existence of Area 51 but ... not as a covert base for UFO and alien operations - as well as reverse engineering that lead to our modern day technologies. Rather than studying UFOs or aliens, the secret military base in the Nevada desert claims it was used to test different spy planes over the years, new government documents reveal. They are slowly disseminating the truth for reasons we may never know. It is still out there ... in the desert. 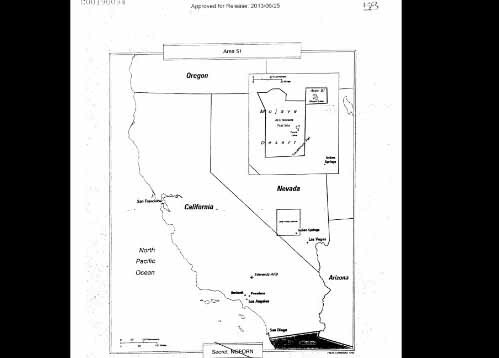 Newly declassified CIA documents reveal the history of Nevada's Area 51. The area was never home to aliens or UFOs, but was instead a super secret site for testing spy planes such as the U-2. The document, "The Central Intelligence Agency and Overhead Reconnaissance: the U-2 and Oxcart Programs," was released recently in response to a Freedom of Information Act Request made by George Washington University in 2005. Area 51, about 125 miles northwest of Las Vegas, is synonymous in popular culture with government secrecy, and many have theorized that it holds the answer to one of the greatest questions plaguing mankind: Are we really alone in the universe? The newly released documents make no mention of alien autopsy rooms or spaceship parking lots. For these true believers, the existence of alien spacecraft at Area 51, and the government's attempts to cover up their trace, is irrefutable and has been since reports of Unidentified Flying Objects -- or UFOs -- began to emerge from the Nevada desert in the middle part of the 20th century. The map and other documents were released in response to a Freedom of Information Act request submitted by Jeffrey T. Richelson, a senior fellow at the National Security Archives, in 2005. 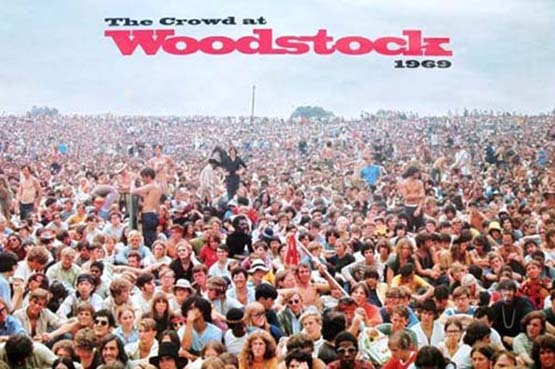 Woodstock Music & Art Fair (informally, Woodstock or The Woodstock Festival) was a music festival, billed as "An Aquarian Exposition", held at Max Yasgur's 600 acre dairy farm in the rural town of Bethel, New York. Thirty-two of the best-known musicians of the day appeared during the sometimes rainy weekend in front of nearly half a million concertgoers. It is widely regarded as one of the greatest moments in popular music history and was listed on Rolling Stone's 50 Moments That Changed the History of Rock and Roll. Some readers may remember that I was barefoot and pregnant at Woodstock, with my husband and friends, as history was made. Today we have Burning Man at Pyramid Lake in Nevada (August 26 - September 2, 2013). Pyramid Lake is also the location of my UFO incident in 1954. I revisited the area in 1995 where I met members of the Paiute Tribe, and author of a book about the local area who took me to meet the chief of the tribe, and had many interesting adventures. I walked out onto the Pyramid Rock and sat there for a while thinking about my UFO encounter and connection to the hologram of reality. Do the articles below connect Pyramid Lake with Ancient Alien Theory? Ancient rock etchings along a dried-up lake bed in Nevada have been confirmed to be the oldest recorded petroglyphs in North America, dating back at least 10,000 years. The petroglyphs found on limestone boulders near Pyramid Lake in northern Nevada's high desert are similar in design to etchings found at a lake in Oregon that are believed to be at least 7,600 years old. Unlike later drawings that sometimes depict a spear or antelope, the carvings are abstract with tightly clustered geometric designs - some are diamond patterns, others have short parallel lines on top of a longer line. 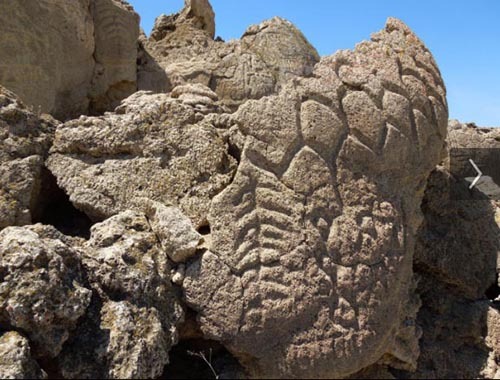 Scientists can't tell for sure who carved them, but they were found on the Pyramid Lake Paiute Tribe's reservation land. A new high-tech analysis shows the oldest known petroglyphs in North America, which are cut into several boulders in western Nevada, date to at least 10,500 years ago and perhaps even as far back as 14,800 years ago. The petroglyphs located at the Winnemucca Lake petroglyph site 35 miles northeast of Reno consist of large, deeply carved grooves and dots forming complex designs on several large limestone boulders that have been known about for decades. Although there are no people, animals or handprint symbols depicted, the petroglyph designs include a series of vertical, chain-like symbols and a number of smaller pits deeply incised with a type of hard rock scraper. Benson and his colleagues used several methods to date the petroglyphs, including determining when the water level the Winnemucca Lake subbasin -- which back then was a single body of water connecting the now-dry Winnemucca Lake and the existing Pyramid Lake -- reached the specific elevation of 3,960 feet.